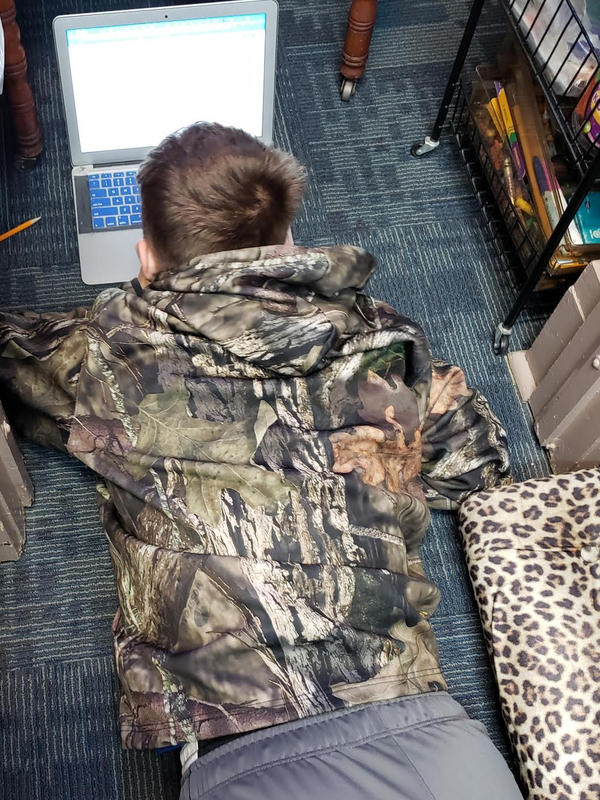 Pictured is one of Anita Mueller’s students at Exeter-Milligan doing his Kuta Works assignment for Geometry on the computer while using flexible seating. Flexible seating allows the students to do their work in an environment that is comfortable for them. My room includes a video chair, round ball, wobbly stool, tables and chairs and of course, stretching out on the floor is always available.